It had to happen this, Ponting finally calling it quits, but I find myself sad all the same. For much of his career Ponting has been a polarising figure, and to this day I know people who can’t stomach him. Not so me. He’s one of my favourite players ever. I loved him for his hard-nosed Aussie competitiveness, married to aggressive, often devastating, strokeplay. To me Ponting epitomises many things about Australian cricket, in much the same way that his predecessor as captain, Steve Waugh, did. The reverence to the baggy green and all it represented, the devotion to team, the selfless drive for success, and the steely, occasionally ruthless, ambition. Ponting goes down as one of the greatest Australian cricketers of all time, an automatic entry into a best ever XI, and probably our best batsman since Bradman. In an era of great batsmen I think he was just about the best. That will be controversial when you consider the likes of Tendulkar, the somewhat underrated Lara, Kallis and so on. Each have their different attributes, different strengths, different reasons to elevate them to number one. I’ve nominated Ponting for several reasons. For a start he became a better player as captain, and led from the front. Both Tendulkar and Lara had stints as captain, and failed. Like Kallis they were happy to sit back in the team. He also batted in the most important spot in the order at number 3, unlike the man most will nominate above him (for the record I would have Tendulkar last of this list – heresy, I know). Only Lara of those three could compare to Ponting in terms of strokeplay and scoring rate. On their day both were devastating matchwinners, capable of taking the game away from the opposition in a session of blistering batting. Only Lara also, has the big inning record comparable to Ponting. In terms of winningest innings I would suspect that Ponting is way out in front of the others also. He played more important innings, innings that won matches, or innings that needed to be made, than the others. This is another area Tendulkar trails. 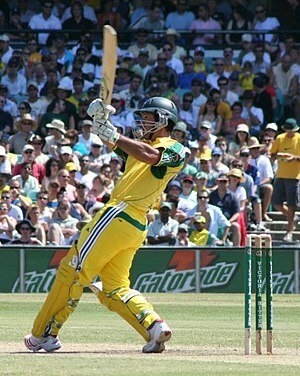 As an all-round cricketer Kallis is the leader because of his bowling, but Ponting comes next. There’s his capaincy of course, and the leadership that comes with that – and also his fielding. 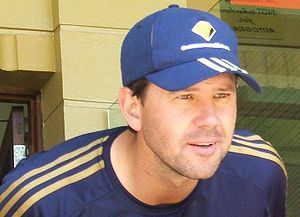 Ponting is/was one of the great fielders of the era. Fantastic in the outfield, agile and alert, he also jhad the safest hands since Mark Waugh. He holds the Australian record for both runs made and catches taken. In the end it’s moot, and good for robust conversation over a few beers. I’ll miss Punter, the familiar frayed cap, the squinting, alert eyes, the hair-trigger reflexes and the combative nature. I hope he goes out big; and I hope we continue to see him still, in one way or another. Pugnacious Punter has chosen to finish with his pads on. Much admiration for Punter, not just as a player and leader, but as a man. He knows what he faces, what he must do, and has no illusions. He has faith in himself though, and belief that his spirit and determination will carry him through. Regardless of who you are and what you do that should be the model for all men. Give way gracefully to what cannot be changed, but never lose sight of who you are and what is inside you. Be true to it, be strong, defy the odds and do it on your terms. A little earlier today I watched a press conference as Ricky Ponting announced he was stepping down as Australian cricket captain. He hoped, he said, to continue playing for the team, but that was out of his hands. It was a dignified and typically forthright performance. As I wrote a few days ago he is a divisive figure in the national consciousness. Many admire him as one of the greatest batsmen of all time and as very tough nut. Many more think he is an abrasive, charmless character. I'm definitely in the former camp. Though I support his decision I found myself feeling sad today on hearing the news. For all his faults – and he has some – he remains one of my favourite ever players. Like many men I utmost respect for the innate fighting qualities he has put on display time and again. In some ways it's a very Australian admiration, which is why we tend to turn out tough characters like this on a regular basis. As Australians, and Australian men in particular, we have great suspicions over those we suspect as being a bit of a showpony – example Michael Clarke (who I actually like). We can respect the aesthetic qualities of our sportsmen, but what we truly admire are those we know who will go that extra mile. That's one of the defining qualities of Australian sporting success, and the benchmark we tend to measure our sportsmen by. We won't always win, but we're never beaten. Ponting epitomises that standard. His excesses are generally the spillover of competitive zeal. He said today his motivation has always been to be part of Australian victories, and to share those victories with his team mates. He is an imperfect human being, but he is also the genuine article. I don't agree with all he says or does, but likewise think he is marked hard and often unreasonably. He is uncomplaining and honest, a hard visage throug which we occasionally glimpse the man his team mates adore, the tender husband and father, and the faithful, devoted servant to Australian cricket. I hope to see Ricky Ponting scoring centuries for Australia again now this burden has been lifted from him. It is enough to see him step down as captain, it is too soon for him to be lost to us altogether. I don't know if people properly recognise what a colossus he has been in world cricket; better now to enjoy and understand that than regret later what we never properly appreciated. The winner of the cricket world cup of 2011 is still to be decided, but for two of the big teams of world cricket it's all over. Australia's demise was no big surprise. The slow decline of Australian cricket has been oft reported, and though still competitive they have have lost that fearsome cutting edge they once had. In this tournament they never really seemed to get going in the manner we have come to expect. As if believing reports of their vulnerability they often played tentative, unambitious cricket. Batting particularly they seemed more concerned about protecting their wickets than pushing the scoring rate along. In days past a departing batsman was replaced by someone just as capable – I think that is still true, but I don't know if the squad retains that faith. And so they played smaller when batting. It was enough to win; in past days winning was not enough, Australia sought to dominate. Confusing instructions didn't help much. Haddin, a very capable, but occasionally dumb cricketer seemed unsure as to what his role was. A natural stroke-player he seemed to reign himself in when the occasion demanded he should go for it, only to generally get himself out stupidly when the discipline got to much for him. He should have been told to play his natural game, which is to blaze. Statistically Haddin had a good tournament, yet his contribution should have been greater. Cameron White was disappointing. A very astute leader of men and cricket brain he seems robotic sometimes batting. He's in the side for his big hitting, but with that deserting him he had no other gear. As a batsman he seems to be fully on or switched off altogether. He seemed incapable of pushing for the quick single and rotating the strike, and seems never to be to encoraged to do so. In hindsight he was clearly a handicap to the team and though I'm a fan, persisted with too long. The biggest deficiency in this side was the lack of a quality spinner. Australia was unfortunate to be queered by injuries and forced into a bold bowling strategem. It might have worked had the missing ingredient – a decent spinner – had been in the team. No offense to Krezja but he lacks control and, in 50 over cricket at least, venom. Ultimately our part time bowlers looked more threatening than him, and that's why we bowed out at the quarter final stage. Give me a hald decent spinner and we would have reached the final. Still, I can't be too disappointed, and if I sound harsh then I don't mean to be. For all the shortcomings in the squad the team fought tooth and nail to the end, as they always do. Leadinmg the way was Ponting. He's a divisive figure Ponting. I love him, but many don't. Women particularly seem to take against him while men, more attunmed to that spirit, are more forgiving. Ponting is a warrior. He's the toughest cricketer in world cricket and has been for many years. He's one of the best batsmen of all time, which he proves again and again by rising to the occasion again and again. His century in the QF after being besieged in the weeks before is just the latest proof of that. Ponting is a great leader. Criticised from outside he seems genuinely loved by those in his charge. It's easy to see why – he's one those strong, unflinching types who lead by example. He's an ordinary on-field captain however – which leads now to the next big decision. In the wake of the Ashes disaster a review was initiated. My hope is that it goes deep. I want Ponting to stay in the side, though I think he drop down the order in tests. I think he should be replaced as captain though, if only because the next generation needs to step forward. Selection policies and selectors themselves should be reviewed. And Tim Nielson as coach – a great disappointment in my book – should be replaced. Off field there seems insufficient guidance outside of Ponting, and some of the things Australia have traditionally been so good at have slipped back in standard. I'll take the quick single as an example – once upon a time it was the corner-stone of the re-build of an Australian team by Bobby Simpson. The game has moved on, big hitting is much more prevalent, yet running between wickets is one of cricket's one percenters. They seemed to have been overlooked or forgotten, yet it is in the combination of these that is often the difference between winning and losing. Australia used to be way out in front in this area. Today, we're probably the best fielding side in the world still, but otherwise have become much sloppier than we once were, and someone has to be accountable for that. If Australia's loss was no great surprise, South Africa's loss was – in a way at least. Probably the tournament favourite they went into the QF final playing the only other team never to have won a knock-out match in the comp. That's an astounding statistic. Australia have probably lost 3 over the distance, and won about 15. South Africa, perpetual favourites, seem always to fall away when the pressure is on. And so in a way their loss was no great surprise either. Australia and South Africa leave the tournament in different states. Australia knows it must re-build, but at least there is an exciting batch of youngsters coming through. And our rich tradition of tough, uncompromising cricket has been upheld – we lose, but with our heads held high. On the field South Africa appear to be in a much healthier state than us. They have a strong batting line-up with a good sprinkling of youth, and they have the best bowler in the world. I have a lot of time for Steyn as bowler and as a man. But they leave also with this sorry record of underperformance – let's face it, of choking – underlined once again. Amazing. The monkey on their back must be the size of a gorilla. For the likes of Kallis and Smith that's probably it – they won't be around next time. In any case, how do they recover from this. So that's where it is. Australia, the West Indies (who have won a combined 6 of the 9 previous world cups) and South Africa out. I think Sri Lanka will win it. They've been my pick from the get-go. They're a well balanced team with good hitters, some sublime batsman (Sangakkara is world best imo) and a potentially potent attack. They'll likely play India in the final, who I'll be glad to see lose. I don't mind they beat us, but I mind the typically ungracious way so many of their supporters celebrated it. We won't forget. For some reason I lay in bed post-midnight last night and contemplated who would be in my best ever Australian cricket team. Speculations like that are always fun, especially for a man. Men will happily debate the likes of this for hours on end while their girlfriends roll their eyes; and most men are inveterate and informal listmakers. We may not put them on paper, but we're always ranking things. The first thing to note is that it has an extra bowler. I ummed and aahed over this as I lay in my cot, but reasoned eventually that the great all-round talents of Miller and Davidson made up for the deficiency. It's a great bowling attack. Miller is a romantic choice maybe, the dashing, glamorous ex fighter pilot, he had serious chops as a fast bowler and is the best all-rounder Australia has produced. Davidson is possibly the most contentious choice but he was selected largely on the basis of being a left-armer, and occasional match-winner. He was the stalwart of the Australian bowling attack for many years, and was also a damaging batsman. Warne picks himself. There have been great spinners play for Australia, but Warne is the greatest of all from any country, and quite possibly the best bowler of any type of all time. Handy batsman, great competitor, shrewd cricket brain and larger than life character, he's impossible to overlook. D K Lillee is similar in his own way. He is the best fast bowler I have ever seen and I grew up devoted to his deeds, as were most of my contemporaries. Like Warne he combined great skill with a magnetic personality mixed in with a dash of flamboyance. I loved Dennis. McGrath gets a gig not because he's took more wickets than any other Australian bowler, and I wonder on the balance of things whether he is one of the best five Australian bowlers of all time. He gets the nod for the balance of the bowling attack. Lillee and Miller both started as tearaways before maturing into canny operators. Davidson is the left-armer, Warne the spinner, and McGrath the line and length bowler who will winkle you out. He's a great bowler, but great bowlers have missed out: Lindwall, Spofforth, O'Reilly, Benaud and so on. Batting is tough too, and a lot of greats missed out. The toughest call were the openers. I considered Morris, Lawry, Woodfull, Simpson, but eventually plumped for Ponsford and Hayden. They are similar in that they were capable of compiling huge scores. Ponsford had his flaws, but his record for Australia is pretty good. Hayden is simply one of the most intimidating batsmen the world has seen. And he's a left-hander, which counts for him in this team. Bradman picks himself obviously. The biggest name in cricket still years after his death, by far and away the greatest batsman ever, a once in a millennium cricketer who averaged 40 runs better than the next serious contender. He's the captain too, a position I thought long and hard on. Counting against him was his puritan streak, but he was also a very canny skipper and a man of superior intelligence. Next in is the current Aussie captain, Ricky Ponting. He's scored more runs and more centuries than any other Australian. He's a great batsman capable of ripping teams apart, and of batting for hours to save a situation. Cometh the hour cometh the man – that's Ponting. Just about the toughest cricketer I've seen. Greg Chappell was one of the great stylists of the game. A fluid driver through the covers and owner of a famous and ever graceful flick off his pads to the mid-wicket boundary. Also a very handy medium pace bowler who would complement the attack well. He was great to watch. Great batsmen to miss out : Neil Harvey, Allan Border, Steve Waugh, Ian Chappell, Stan McCabe, Victor Trumper. There have been some great Australian keepers and great names – Grout, Tallon, Marsh, Healy. In the end though it's an easy selection. Adam Gilchrist may not be the best pure keeper of them all, but he didn't miss much. As a batting keeper though he was unsurpassed. One of the most exhilarating players to watch in full flight, he was also one of the most destructive. He's personal favourite of just about everyone, not just for his great cricket but for the style of the man. This was a no-brainer. So that's it. Match it against the best ever from other countries and it would win 3 out of 4 such has been the pedigree and dominance of Australia over the journey.Of that team there are two who would be first selections in a world team – Bradman and Warne. I think Lillee and Gilchrist would likely make it too, and Ponting, Hayden and McGrath would be considered closely. Funnily enough the West Indian team might be the most likely to challenge in a heavenly match-up: (my estimate) Greenidge, Haynes, Richards, Lara, Walcott (c), Sobers, Dujon, Roberts, Hall, Garner, Gibbs. That's a great team too and leaves out greats like Worrell, Weekes, Headley, Lloyd, Marshall, Ambrose, Holding. They would be great contests. England? Well you're really testing my knowledge of cricket history, but I'll take a punt regardless: Hobbs, Sutcliffe, Barrington, Hammond, Hutton, Knott, Botham, Bedser, Trueman, Snow, Underwood. Hobbs and Sutcliffe are probably openers for the World XI such was their partnership, and it's full of great players, but easy to discern the difference in styles – maybe because the bulk of their players come in the period around the war. 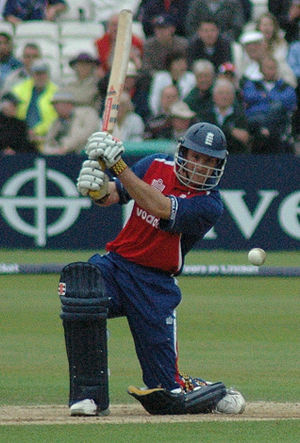 There are exceptions – Botham and Snow for example, but generally they are more craftsmen in the traditional English way, less aggressive and attacking, more methodical, Barrington was a grafter as was Hutton to some degree, Bedser a great bowler with unerring control, likewise Underwood. Just missed out: May, Compton, Gooch, Gower, Paynter, Evans. This is fun, and I haven't even looked at half the teams. On a whim this morning I got up early to watch the last 45 minutes of the cricket from England. Australia led the series 5-0 going into this match, and were well on their way to another easy victory. Win again on Sunday and its a series clean sweep, nice, and it goes some way to make up for losing the Ashes – but never far enough. In any case I sat there on my couch watching while the sun rose outside and the day began and it was all very conventional until the after match presentations. Poor old Andrew Strauss, six times now he's had to get up on stage in front of a home crowd and make some sort of explanation for a succession for woeful performances. It's a tough gig and he must be sick of coming up with different answers while the team continues to under-perform (though Australia has been exceptional). I have a lot of time for Strauss. For a start he leads from the front, as a captain should. He had a very good Ashes series and has been their best player in the one-dayers. It's not his fault they're losing. I like his style too. He's not a flashy batsman, but he's solid, and he brings those same qualities to his captaincy. I had thought him stolid and unimaginative, and while that is occasionally true you can't fault his heart or his work ethic, he's honest and he tells it like it is. That's one of the reasons I was shocked this morning when he was booed as he walked to the dais. I'm sure those sour English supporters doing this are not representative of the English public, but it is another indication of the capricious nature of the English sporting public. For fucks sake, you've just won the Ashes! A month ago they were riding high and acting smug. Now it's turned the other way. I can imagine few good reasons why any captain should be booed, least of all Andrew Strauss. It's reprehensible. I know as an Aussie that the only time an Australian captain is booed it's by the opposition supporters – which is what happened through the Ashes this year. Not good form perhaps, but you'll cop it, as Ponting did. One of the strengths of Australian sport is its unity and purpose, it'll stick through good and bad. And while the Australian public expect a lot they've been given a lot, and know it. Even when it's not so good we know that the team is fighting, and we have faith that things will turn – as always they do. From bad things good things come. It's something the English could well learn. It's stout characters like Strauss who can take them to the top – unfortunately there is still much in the national temperament that serves to undermine that success and prevent it from being anything more than fleeting. It epitomises the differences in how we think, for the English the win last night was a case of hope triumphing over expectation, while for us Aussies we are left to despair when we expected victory. That's almost all I want to say about that but for two little things. There is definitely a distinct difference in the English temperament from the Australian these days, and I'm not sure it's all to do the relative success of their teams. Yesterday, odds on to win the English were quiet and nervous and fearing the worse. Far away, my mates and I watched the same match and hoped still to win the unwinnable, knowing it has to happen sometime and thinking it may as well us who do it. And we might have had not Ponting lost his wicket through no fault of his own. Otherwise fair play to the Poms. Bastards. And going to bed and lying there knowing the state of the game and hoping to wake up to an unlikely result I had the game play through my mind as I slept. Then I dreamt of Jennie at about the precise time the Poms were winning, telling me off. I must have known something.